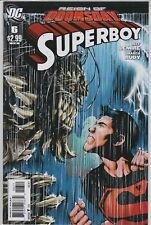 DC Comics SUPERBOY (2011) #4 5 6 7 8 9 11 LOT Jeff LEMIRE Ships FREE! YOUNG JUSTICE #2 SUPERBOY * RED TORNADO CARTOON NETWORK DC 2011 NICE!!! 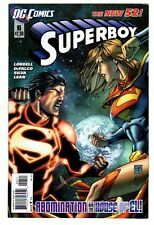 SUPERMAN : 80-PAGE GIANT #1 SUPERGIRL * KRYPTO * SUPERBOY $5.99 DC 2011 NICE!! This page was last updated: 18-Apr 12:10. Number of bids and bid amounts may be slightly out of date. See each listing for international shipping options and costs.